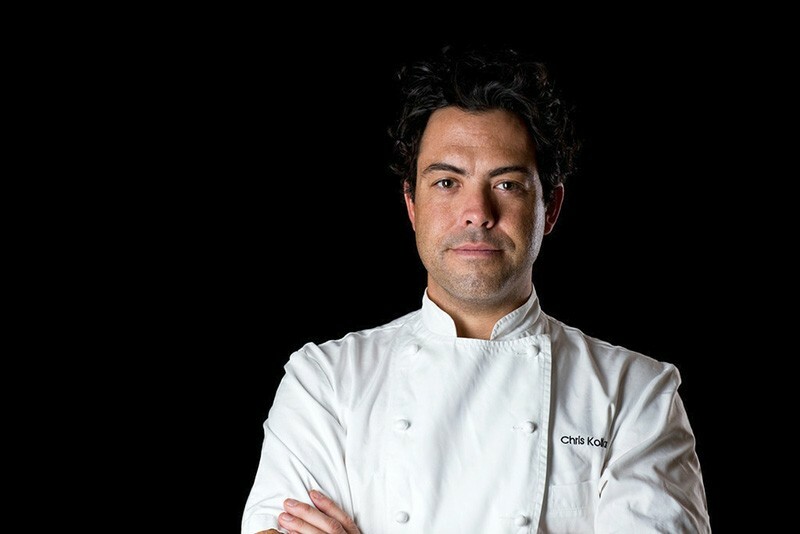 CHOCOLATE LAB Chris Kollar trained as a savory chef but became intrigued by chocolate and wine pairings. Modern, minimalist Kollar Chocolates is one of the new tenants in Yountville’s revamped V Marketplace. The ivy-covered building was once known as Vintage 1870, and some locals still call it that. New businesses set in venerable buildings always attract a bit of criticism from those nostalgic for what was, but Kollar fuses the old with the new, and leaves most people happy. In the small, neat space, futuristic neon-green truffles rub elbows with classic chocolate morsels, European “rochers” and old-school barks. Flavors range from the familiar to the exotic. Everything is packaged in neutral, simple boxes—timeless, yet very of the moment. To complete the tech-inspired aesthetic, the kitchen features a “production lab” open to public viewing. Atlanta native Chris Kollar is a new-generation chocolatier. Trained as a savory chef, he worked in Denver, Seattle and the Cayman Islands before coming to Napa in 2001. A long list of gigs as executive chef followed, including stints at St. Helena’s Go Fish and Tra Vigne, during which time Kollar became infatuated with wine and chocolate pairing. “It all started when I would make truffles to serve at the end of meals,” Kollar says. There were no local chocolate manufacturers in the area, so Kollar decided to open his own shop—but not until he’d mastered the art of chocolate. He embarked on a self-education tour of Europe, visiting Switzerland, France and Italy, and emerged with expertise—and a couple of unusual ideas for sweets.